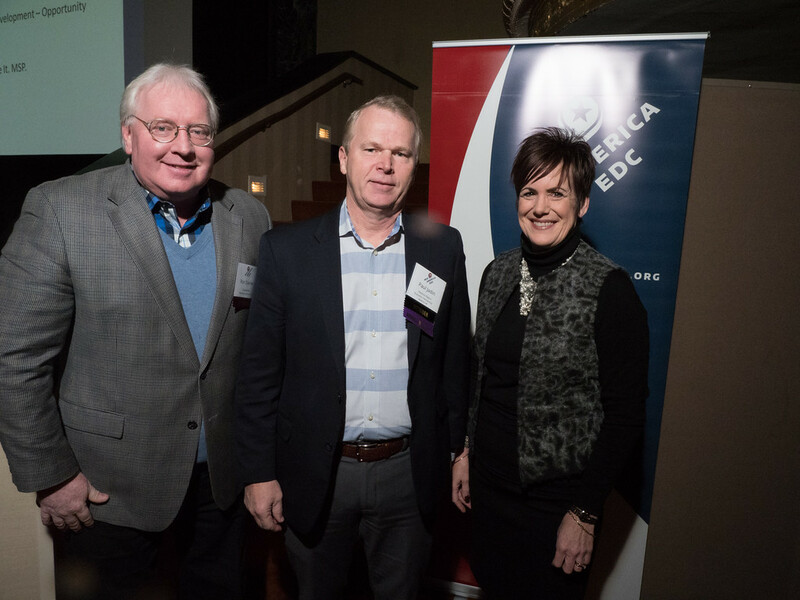 The Mid-America Economic Development Council presented its annual Economic Development awards at the 2017 Mid-America Competitiveness Conference & Site Selector Forum, held December 3-5 at the Intercontinental Hotel in Chicago. Award entries were accepted in two markets per category – large market (annual marketing budget over $100,000) and small market (annual marketing budget under $100,000). MadREP had winning entries in two categories: Annual Report and Workforce Development, for its annual Madison Region Economic Development Guide & Annual Report as well as the Inspire Madison Region program. Deal of the Year – Selected from major projects announced in late 2016 or 2017 in the Mid-America region. Recognizes outstanding achievement in the location of a new or existing business, a type of economic development project having a major impact on a Community or Region, or the exhibiting of excellence by an economic development organization. Entrepreneurial Award – Unique approaches to enhancing the Entrepreneurial culture in your city or region. Unique approaches for assisting young companies through the start-up/early stage of a business life cycle. Marketing Program – An overall comprehensive marketing program to market a community, county, state, or region to a prospect. Business Retention & Expansion – Specific initiatives that are designed to retain or expand existing industries. Annual Report – A regularly published document that addresses economic development issues and/or informs readers of an organization’s activities. Workforce Development – Activities to attract new workforce, strengthen the skills of existing workforce or encourage retention of youth in a specific area. Mid-America EDC is a multi-state association dedicated to being the leading resource for making contact with site selectors, advancing regional economic development programs, and accessing thought leadership. For many years, The Mid-America Economic Development Council has sponsored the annual Economic Development Awards competition to recognize and stimulate the creative use of quality marketing by economic development organizations throughout the twelve-state Mid-America region in promoting their respective communities. The Mid-America Economic Development Council’s awards partner is Conway Inc., and all first place award winners will be highlighted in an ad in the January issue of Site Selection magazine. For more information about The Mid-America Economic Development Council and to view more information about this year’s winning award entries, please visit www.midamericaedc.org.